New Richmond ferry terminal: can it stimulate development and benefit all residents? This month, construction crews will finally break ground on the Richmond Ferry Terminal project. After years of planning, the local ferry, which will run from an existing wharf next to the Ford building to the Embarcadero in downtown San Francisco, will more directly connect the city to the S.F. economy. Advocates and developers hope that the ferry’s short, 30-minute trip will encourage more Bay Area residents to consider Richmond as a place to work, live, and explore on the weekends. But tenants’ rights groups and researchers are more cautious about the effects this new connection could have on Richmond’s already strained housing market. With worsening traffic and a BART system that is overcrowded during commuting hours, people across the Bay Area are increasingly opting to take ferries. While BART reported the first dips in ridership in six years, the Water Emergency Transportation Authority (WETA) reported a 78 percent increase in ferry ridership since 2012, a trend that continued with a record-high 289,000 passengers taking WETA ferries in the month of July. While gains in tourism may be modest — ferry operators on the Bay report a more than 50 percent decrease in ridership over the weekends — the ferry will certainly appeal to many commuters. But he was guardedly optimistic, warning that the conduit might not be equally available to everyone. WETA tickets can cost as much as $14.20/ride, so not all Richmond residents will be able to afford the service. The wharf’s location — far from BART and most bus lines — adds another challenge, making it difficult for anyone without a car to easily reach the ferry. The impact of access to regional ferries can be seen in nearby Vallejo, where the ferry has been a central part of the city’s now-booming housing market. The once bankrupt city now boasts the “hottest” market in the country, according to Realtor.com, topping San Francisco and San Jose. The “hotness” index, which measures how fast homes are selling (and also how many clicks they gather on Realtor.com), shows that as home prices continue to skyrocket, residents are looking farther afield. Home prices in Vallejo rose an incredible 11.5 percent this year, according to Zillow, and are predicted to rise another 4.5 percent in 2018. 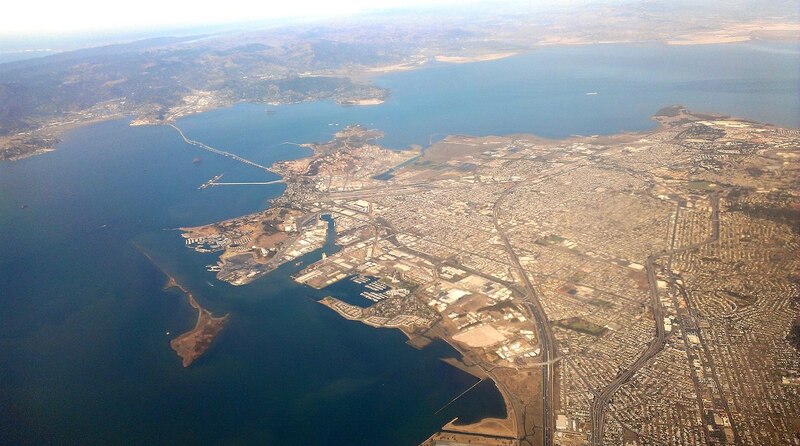 Vallejo has become popular in recent years because the city combines relatively low housing prices with a ferry that provides a fast and easy commuting option into San Francisco. Janel Letostak moved from San Francisco to Vallejo two years ago. She and her husband chose the city largely because they “couldn’t afford anywhere else.” Now, she commutes to her job in San Francisco on the ferry. “It’s better than driving in that awful traffic,” she explained, referring to the chronic congestion on Interstate 80. Although the change may not be immediate, Bay Crossings’ Bobby Winston says the Richmond ferry could be equally transformative. Moore and others, however, see a different approach. They stress that the ferry — and the development that comes with it —should not happen without investments in other services like job training programs, affordable housing initiatives, and fair-chance hiring policies. They argue these extra services are necessary for all Richmond community members to be able to benefit and take advantage of their changing city. Moore says that, while the city of Richmond has been pretty committed to dealing with gentrification head-on, officials need to start considering how projects like the ferry will impact all of their constituents. “There’s still a lot of work to be done,” he said. I’m really tired of the people who complain about the things that are changing for the better in Richmond. The ferry service is a POSITIVE thing, period. The 12 & MacDonald development is a POSITIVE thing, period. The Richmond of years past has NOT been a positive thing, PERIOD. Let us not forget that Richmond has been a violent and dysfunctional place where 16 year old girls can get gang raped by 20 to 30 men at their own prom dance. Where young men with no employable skills spend their days shooting at rivals on our freeways and at innocents who are simply walking home. This is not something you want to preserve or that is worth preserving. Those of you who are not embracing the positive changes happening in Richmond today would do better to take a long hard look at YOURSELVES and consider what YOU can do to better your own lives rather than sitting around with your hand out waiting for someone else to do something for you and whining and crying whenever you see something positive happening for the city. People like the Haas Institute and the RPA are like bad parents who act as enablers for their children who never grow up and take responsibility for their own lives. They are constantly making excuses for their childs bad behavior. They do everything for the child that they should be doing for themselves so that they can learn and grow. And they are continually lowering the bar of expectations for them in the futile hope that they will change and all the while never realizing that they are part of the problem. Sadly, I think it is the RPA and now the Haas institute that are killing opportunities for Richmond residents and especially our youth. RPA pretty much killed UC Berkeley’s Global Campus Initiative that would have put us on the map as an international hub for world health. The enrichment to our community that would have brought goes way beyond tax dollars. Now Haas suggests that the youth of our city wouldn’t be able to expand their economic and cultural choices because they wouldn’t be able to find the ferry? How insulting! Print up some maps or develop an app. Buy a block of discounted tickets for those who are seeking employment etc. Teaching kids that they are helpless and should depend on hand-outs and “reparation” is not serving them. A lot of sensationalism in this article and these comments. Yes the ferry will provide a useful alternative to BART for Richmond commuters and that will likely have some effect on the Richmond economy, property values, and gentrification. But that effect will be minor compared to many other factors that are changing Richmond such as relatively cheap rents and home prices, the development of Marina Bay itself, and maybe most importantly the decades long immigration of Latino families into the city. For the first ten years of its life the ferry will be lucky just to meet its fare box recovery targets. As far as the RPA goes, while I agree with many of their policy positions I absolutely can’t stand their anti-democratic backroom dealing approach to governing. However they likely had almost nothing to do with the cancellation of the Global Campus which was a poorly developed project with no outside funding put forward by a cash strapped university and a deeply unpopular scandal-plagued chancellor. Unbelievable that the RPA folks would stop this. I think the commentors above might just be pathologically angry people. Or people who are tired of the RPA and Hass Institute framing every positive development that comes Richmonds way in a negative light. Clearly RPA isn’t mentioned in the article. But we all remember Gail McLaughlin and the RPA whining about how Global Campus was going to harm Richmond, and how they stirred people up to fear it. Not to mention all the demands that were being made on the University before the project even had any funding. So the reactions you see above are quite understandable. I suggest your final comment has it completely backwards. who do you think runs the city? Get real. The RPA. They have the controls now. They do not want business and they do not want our property values going up and they do not want people to work. They want a community with handouts and free rent so people will stay poor forever. Here is yet another thing we are tired of: the utter hypocrisy of the RPA. Apparently Eli Moore is married to Claudia Jimenez who is on the RPA steering council, and both of whom had much to do with Richmonds punitive Measure L rent control ordinance. Now it seems that Moore and Jimenez have built themselves an illegal rental unit on their property and rent it and their own home out in violation of the city’s building codes and rent control laws. Funny how these people have no problem ramming punitive laws down other peoples throat but feel above these very same laws themselves. Why is this guy considered an authority on anything? He is a common scofflaw and hypocrite. In the future I hope Richmond Confidential makes wiser choices in who they interview for these articles. Here-here! Let’s call out these scofflaws and make them adhere to common laws! I am thrilled to hear about the Ferry. When I bought my home in Richmond 3 years ago there was “talk” of it. Now it seems more than hopeful. As a daily rider of BART into SF, this will be a welcome change. It is past time to get people off the freeways and lessen the strain on BART. Happy camper here!